Applications are available from January 8, 2018 – April 2018. Applications are due to the Front Office before 4:30 p.m.
Lottery applicants are strongly encouraged to hand-deliver their completed applications to the front office during its normal business hours (7:30 a.m. - 4:30 p.m., Monday-Friday). On the day of the lottery drawing, a priority waiting list will be established. The number of available seats may not be determined until after the start of school. 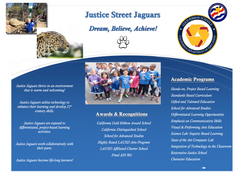 Once the number of seats is determined, enrollment offers will be made. Those selected will be notified by phone. 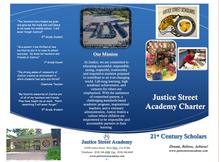 Offers must be accepted within three days and the enrollment packet must be returned within one week of the phone call in order to secure enrollment at Justice Street Academy Charter School.